Abstrakt is a collection of photographs selected by Ernst Haas for a two-projector 25-minute film he worked on until his death in 1986. The photographs span his entire career in color from 1952 to 1984. Many of the photographs were shown in LIFE magazine’s first color issue devoted to Haas’ 1953 story on New York, “Images of a Magic City,” and in his 1962 solo exhibition Ernst Haas: Color Photography at The Museum of Modern Art, the first color retrospective at that institution. The photographs in this book show various abstractions—from street detritus to torn posters and other found objects. Haas considered this project to be the culmination of his work in photography. 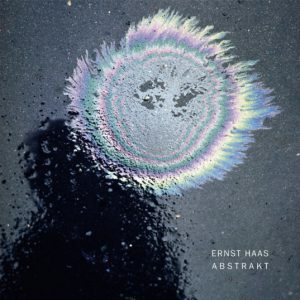 This book considers the film stills of Ernst Haas, one of the most accomplished photographers of the twentieth century, transgressing the borders between still photography and the moving image. Haas worked with a variety of eminent directors—from Vittorio de Sica to John Huston, Gene Kelly and Michael Cimino—and depicted cinema genres from suspense (The Third Man, The Train) to the Western (The Oregon Trail, Little Big Man), and from comedy (Miracle in Milan, Love and Death) to musicals (West Side Story, Hello Dolly!). 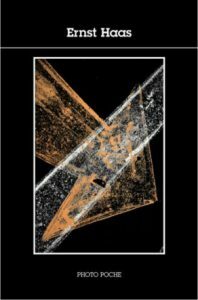 Haas inscribed a temporal, filmic dimension into his stills which, viewed in a sequence, generate movement and narrative. So accomplished was his mastery of color, light and motion that Haas was frequently asked to photograph large group actions—from the battle scenes of The Charge of the Light Brigade and the dances of West Side Story, to the ski slopes of Downhill Racer. 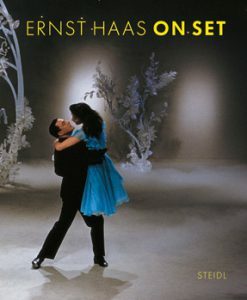 On Set elucidates a novel perspective on the sets and stars Haas photographed, and reveals a little-known but crucial dimension of his oeuvre. Ernst Haas is unquestionably one of the best-known, most prolific and most published photographers of the twentieth century. He is most associated with a vibrant color photography which, for decades, was much in demand by theillustrated press. This color work, published in the most influential magazines in Europe and America, also fed a constant stream of books, and these too enjoyed great popularity. English version. 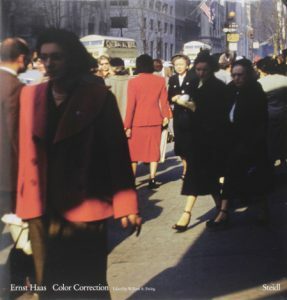 Handsome and collectible, this book contains a selection of Ernst Haas’s most important and representative images in duotone or color, plus an introduction and a bibliography. 44 color and 27 duotone photographs. 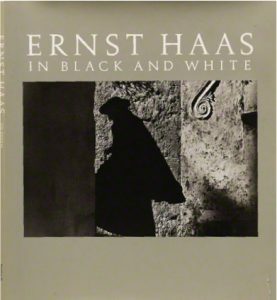 While Ernst Haas’s name has been synonymous with color photography, the images in this book illustrate Haas’s mastery of the black-and-white medium. The sheer scope and quality of this work is a revelation. Images were drawn from some 100,000 negatives created from 1945 into the 1960s. The images take us from Haas’s roots in war-torn Vienna through his Magnum years and many travels. 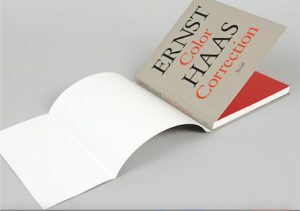 In the introduction, Jim Hughes, renowned writer and photo critic, writes about Haas and his remarkable career. This book is the first full-scale retrospective of Haas’s color work, including many images that have never before been published in book form. 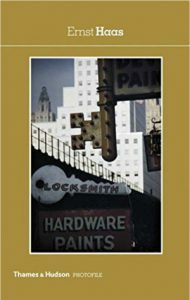 Based on Haas’s extensive notes and color work dating from the early 1950s up to his death in 1986, the book confirms that Haas’s inspiring and innovative color photographs are landmarks of the form. In her introduction, Inge Bondi—longtime Magnum Photos member and friend—reveals much of the character and sensitivity that punctuated Haas’s long and successful career as a photographer. 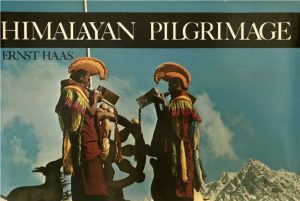 The images in this book were taken over a nine-year period in Tibet, long before the country was open to foreigners. Together with a written account of the experiences and impressions during the journey, the images convey the reference and brilliance that underlined the Buddist rituals, the glorious landscapes, and the quiet beauty of the Tibetian people and their way of life. 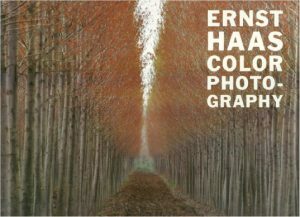 Haas photographed in brilliant color many events that few outsiders were allowed to witness. Gisela Minke’s thoughtful text is a perfect counterpart to the powerful images. 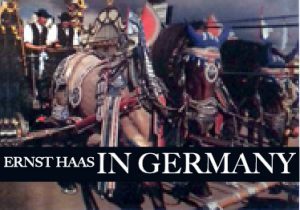 Focusing on the atypical as well as the commonplace, Haas recorded the different people, regions, and events of Germany in his perceptive way. In bold and reverberating color, In Germany displays the strength, beauty, and occasional contradictions of this country. In the introduction, Haas’s views on Germany and its people are revealed in a lively interchange with Thilo Koch, one of Europe’s foremost journalists. Printed in 1975 in anticipation of the Bicentennial of the United States, In America is an extraordinary collection of images taken of Haas’s adopted country. From land, water, and sky, Haas captured unique glimpses of this vast country’s phenomena, man-made creations, and people in vivid color. 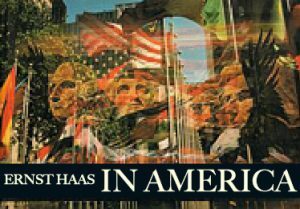 Haas’s own introduction covers his former and then current perceptions of America and its iconographic magnificence. Ernst Haas believed that no other medium was better suited to interpret the story of the Creation than photography. 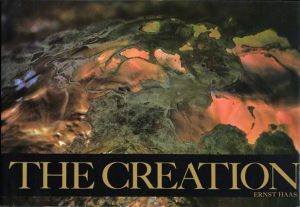 The point is well proved by the incredible series of color photographs presented in this book. Haas ingeniously arranged his images in flowing sequences that represent the dawn of the world as described in the Book of Genesis: the elements, the seasons, and the creatures. The book was an outstanding success; it was printed in numerous languages, went through multiple printings, and has been hailed internationally as a milestone in the world of photography. The oblong format of the book (9-1/4 x 13-5/8 inches) was groundbreaking at the time of publication and was used again in his following three publications.